This week we chose Psalm 30:2 “O Lord my God, I called to you for help and you healed me.” I thought there would be more “O God…” type verses. But they were all something like, “O God, slay my enemies” or something like that. 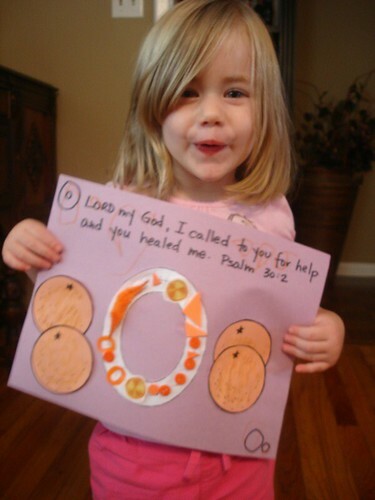 Anyway, after reading the verse and writing it, Lydia colored in all the O’s. I think she did a pretty good job. 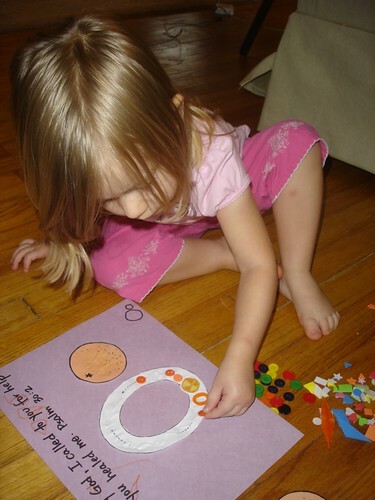 Then let Lydia decorate a letter O. 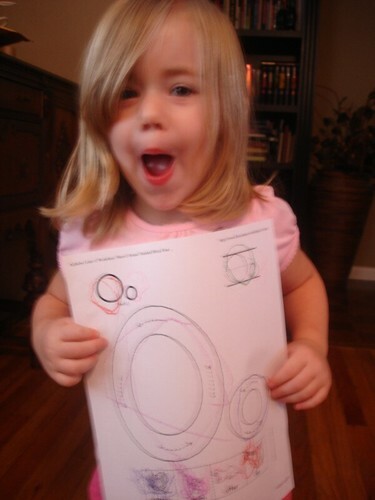 Then we used our “O” worksheet from First School. Lydia loved all the animals on the bottom: ostrich, ox, otter and octopus. It’s kinda wordy with that “at all” and “ever”, but I put a little cadence to it and I think she’ll get it quickly. I wanted to do a nest. She is enthralled with nests! We found one in a tree once and every time we pass that tree–even six months later, she still wants to look for the nest. She spread the glue out and we stuck the yarn on! Then I had a flash of brilliance! Lydia got the best book for her birthday! 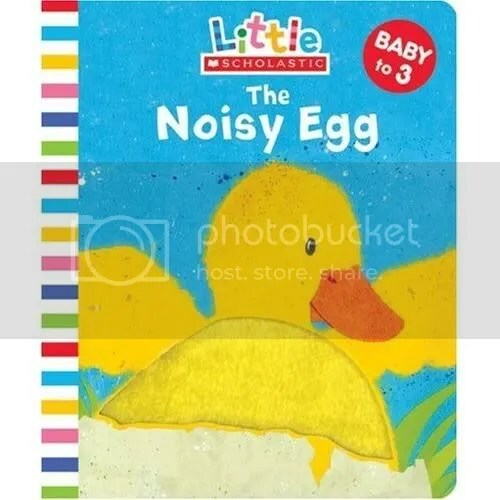 It’s called The Noisy Egg. And she loves it! Well, it’s about a mama duck who makes a nest, lays some eggs and then waits for them to crack. Her favorite part is when a tiny beak pops out of the egg first. I thought our collage was beautiful! But after reading The Noisy Egg, Lydia decided we needed a mommy duck, too. So, we scrounged around for some mommy duck pieces. I found a few big shapes, a strange little pipe cleaner thingie and a couple of googly eyes–so there’s our mama duck! On a super-spiritual note, I think the verse and the mama duck with her eggs kinda go together. God even describes himself as One that will cover us with his feathers, so we can find refuge under his wings. 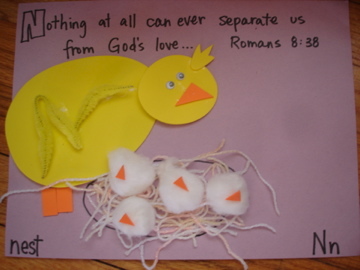 Just like a mama duck, God won’t let us be separated from His love! 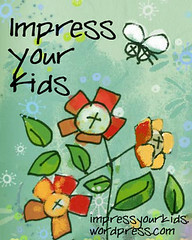 I want to put scriptures into my children’s hearts that will be helpful to them (DO NOT BE AFRAID!) or that show some great quality about God (GOD IS LOVE!). This is seriously my favorite thing ever. It’s a free site for parents and teachers. It’s got all kinds of computer “games” that teach letters and reading. The ABC portion is so cute. You click a letter and then it goes through all sorts of words that begin with that letter–they’ll show pictures, animations and even games. But the best part is it says the letter’s sound every time you click. I love listening to my daughter repeat the sounds with every page. 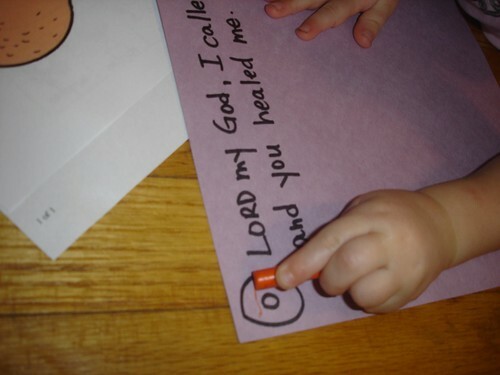 I try to find a picture or craft that can be on our same Bible verse page. We display it all week…mainly so I can remember to say the verse with her. So, we’re not talking big honkin’ craft here. Just something more than coloring is all I’m after. 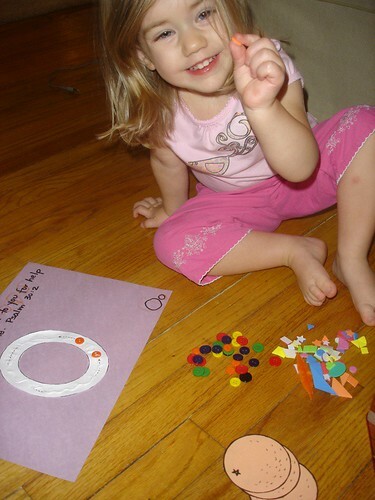 We’ve done stamps, fun foam, feathers, yarn…whatever just happens to be laying around the house. Seriously, I have NEVER bought anything for this crafty endeavor. There are tons of great sites out there. You can view them all on my sidebar. 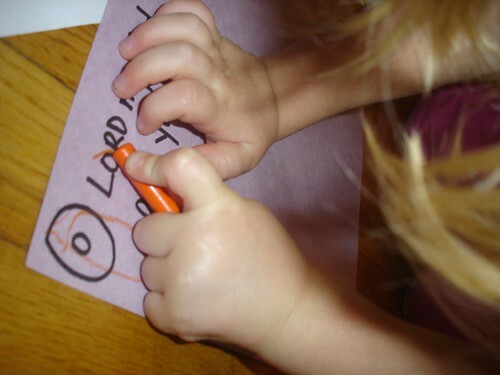 I usually print a Capital & Lowercase letter and let Lydia trace it. 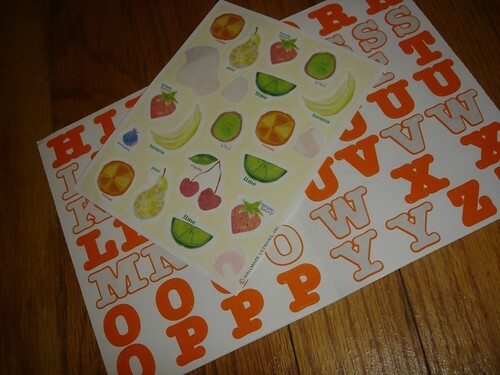 I found a great site that has the printable letters with the directional arrows on each one. 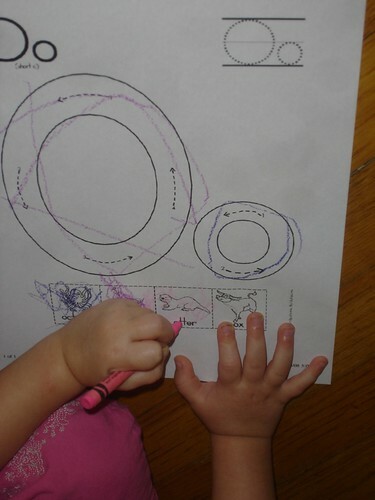 Not that my daughter uses or understands the directional arrows. But still, it’s fun for her. The tracing of the letters, the computer game, craft and Bible verse MAY take us a half an hour to a full hour. It’s not structured. I don’t make her do the craft the way I want. (Wait till you see the elephant she made for E. yikes.) It’s just about introducing the letter and saying the verse as many times as she’ll do it! When our crafts and coloring sheets are done, we hang them up in the living room. She loves looking at her “abc verse” all week…especially if someone comes over, that’s the first thing she wants to show them. I try to find something else to do that goes with our letter. C? Are you making chicken for dinner? 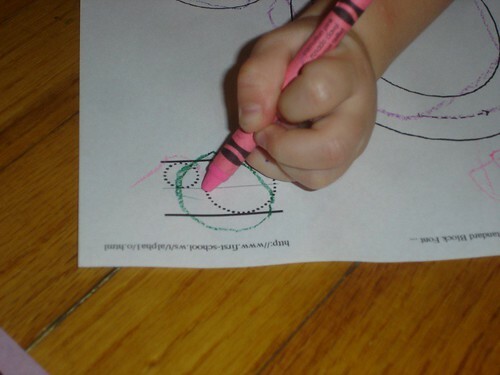 Let your preschooler help. K? Go fly a kite! E? Tivo a show about elephants. F? Make an American Flag from tissue paper and let your child display it in their room. Just whatever I can find online, remember from doing as a kid, or can just make fit into our letter. We go to the library and look for books that begin with our letter. Or are somewhat about our letter. Or about the craft we did. 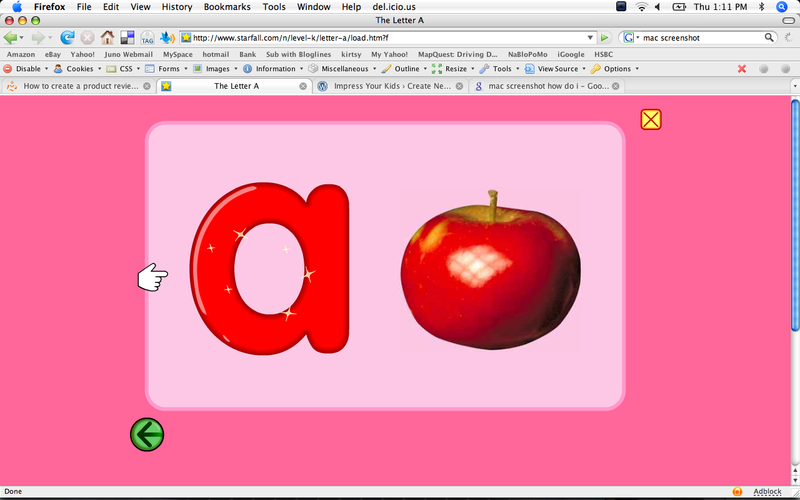 For example, the letter A; I found books about Johnny Appleseed. Then I just searched our card catalog for anything that had to do with apples. For B, we got Berenstain’s B Book. For C we looked for books about cats and caterpillars. For E I found Elmer the Elephant. You just have to search around. Hope this helps! Please leave comments or questions!